What's On my Travel Bucket List: A Luxury Cruise Around Tahiti with Oceania Cruises - Holy Smithereens! We’re in the middle of the year once more, and depending where in the world you are, you could well be enjoying the warm long days of summer, or snuggled under a toasty blanket as winter sets in. Whatever the climate and season, June always reminds me of one important thing: Travel planning for the second half of the year! And because it’s chillingly cold where I am (hello, Canberra! ), my dream travel destinations for the rest of the year end up being somewhere warm, tropical, and full of sunshine. Yes, I’m looking at my favourite, ultimate happy place once more: Tahiti! I’ve been to Tahiti twice and I’m now convinced that Tahiti is a return destination for me. And this time, I’m seriously considering a cruise around Tahiti and her islands. 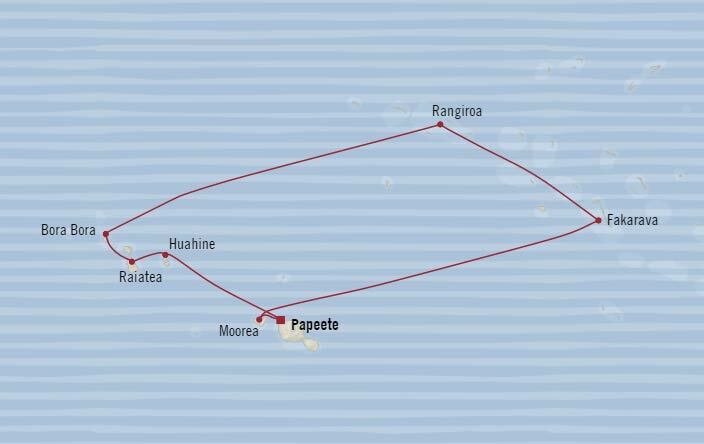 The Oceania Cruise I’m looking at is a 10-day voyage called “Sparkling South Pacific”. It starts and ends in Papeete (Tahiti’s capital) and it visits all the beautiful islands on my Tahiti bucket list. In particular, I’m looking forward to snorkelling and diving the waters of Rangiroa and Fakarava. I’ve heard numerous times that the marine life in those islands are out of this world. Unless you want to keep flying every segment, cruising is a great way to explore island destinations. 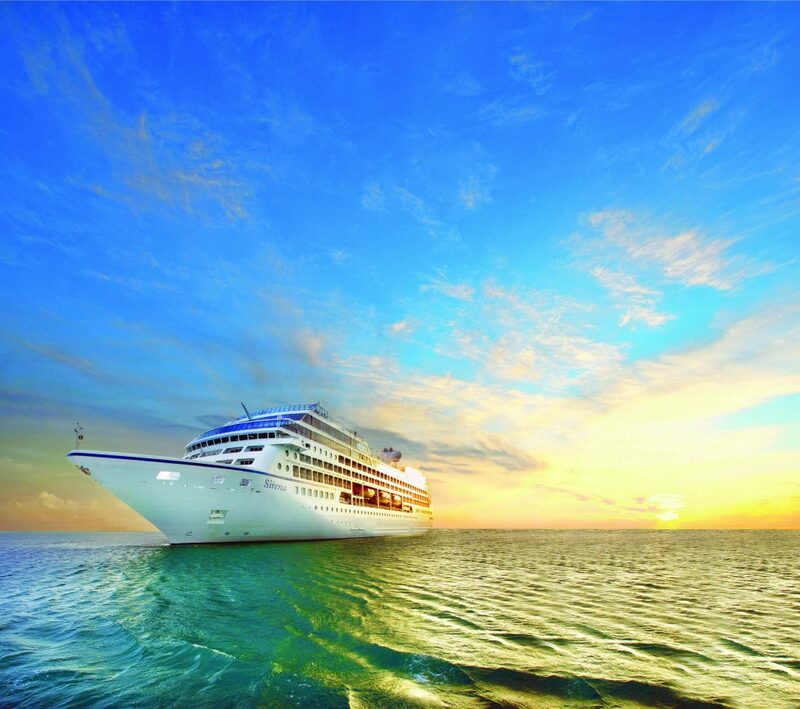 Oceania Cruises is a luxury cruise line that specialises in small group cruising (catering to just 684 or 1,250 guests as opposed to your normal mega-sized cruise with over 3,000 guests). And more importantly, small luxury cruise ships such as Oceania Cruises’ Marina, are able to navigate around inlets and small islands. This means more destinations and islands to be explored, and the ship can actually dock quite close to the destination’s coastline. And while every commercial cruise ship has to meet environmental targets, I feel more secure and at peace knowing that a smaller cruise ship emits less carbon footage and wastage than your regular sized cruise ships. I’m a big fan of cruising and having cruised four times over the last 2 years, I can say that my preferred cruising type are small luxury cruises. Apart from the navigational advantages I stated above, small cruise ships tend to be more personal. And Oceania Cruises has given particular focus on every guest’s onboard experience to ensure that everyone has a memorable and personalised cruise. In today’s competitive world of luxury travel, interiors, decors and amenities do help in creating a rich travel experience. In my opinion, customer service and experience is what really makes a travel memorable. 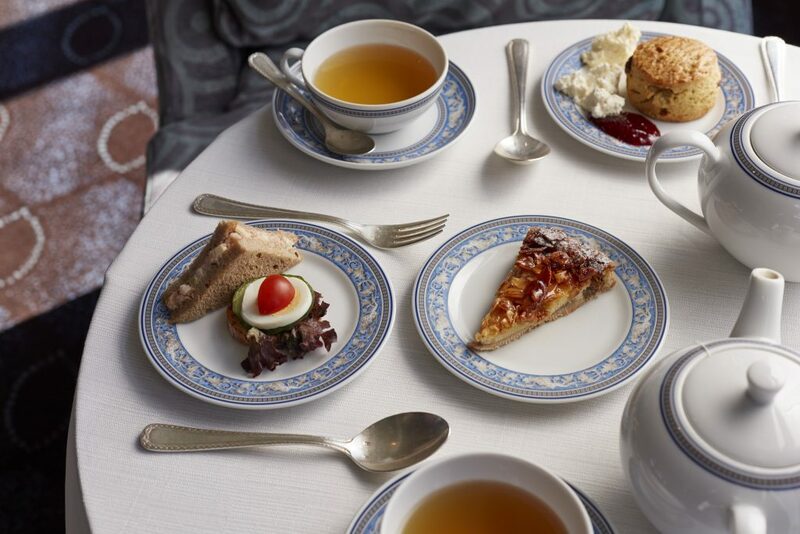 There are many ways in which Oceania Cruises make a difference in delivering a memorable guest and culinary experience, and here are some that stand out for me. 1.) More overnight stays in destinations. 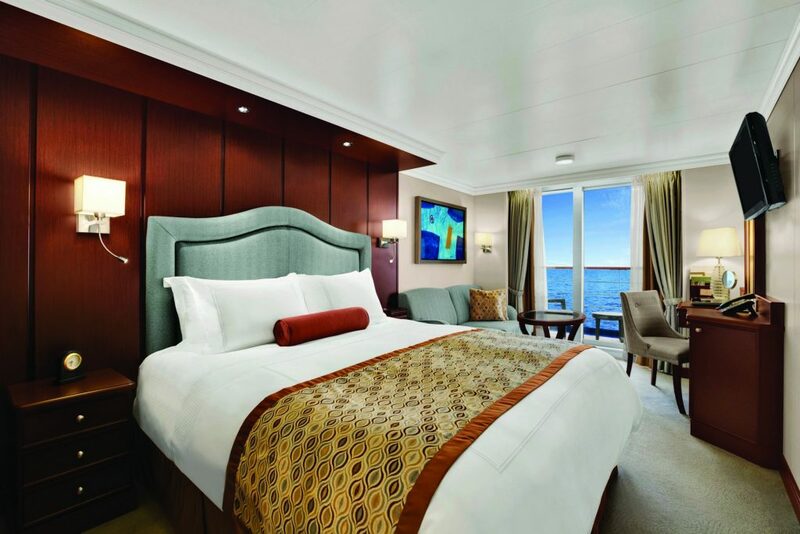 Firstly, while I was browsing the available Oceania Cruises for 2018, I was quite impressed to discover that their cruises offer a lot of overnight stays in their itinerary. There are also days and destinations where an Oceania Cruise ship is docked for the day but they have more extended evening calls than any other cruises. This is an important factor for me as I’ve been on cruises that go to the most exciting destinations only for the ship to dock just for the day with an early call time like 4 or 5PM, leaving you with just a couple of hours to explore. 2.) Open-seating dining venues at no additional charge. Most cruise lines offer a number of specialty restaurants, but most, if not all of these charge extra for guests to dine in. It’s quite a relief to be in a cruise where you can choose to eat at any of their specialty restaurants and not have to pay an additional fee to eat. 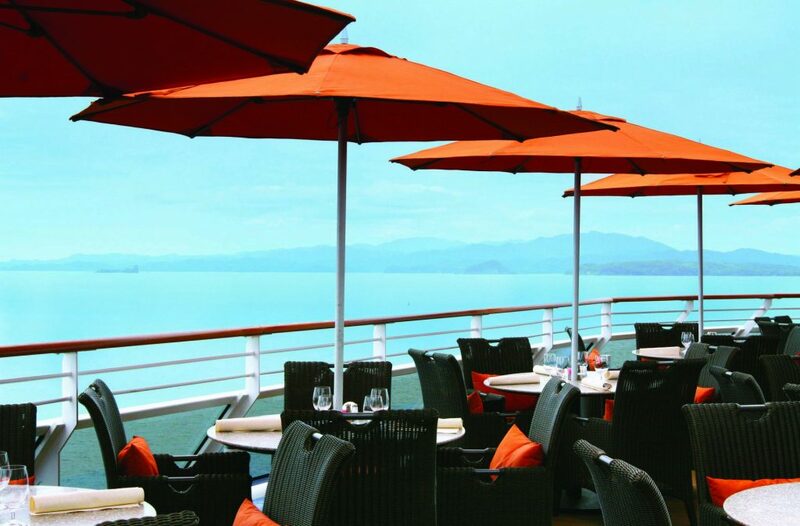 Oceania Cruises offer a variety of food at their multiple specialty dining restaurants including gourmet Italian, contemporary Asian, French country cuisine, steak, chops and seafood grill, among many others. On top of this, they also offer free room service, 24 hours a day. If that isn’t decadent and ‘living-like-a-king’ enough, then I don’t know what is. Talk about a unique and memorable land tour! Oceania Cruises offers the option for you to learn about (and create) the food of your cruise destination. A master chef will accompany guests to a destination’s local market to have an introduction of the region’s taste and local produce. They will also learn techniques in a local cooking class. But the culinary experience does not end there. It continues back onboard the ship! Oceania Cruises also offers the first hands-on cooking school at sea to offer hands-on instruction, called The Culinary Center. 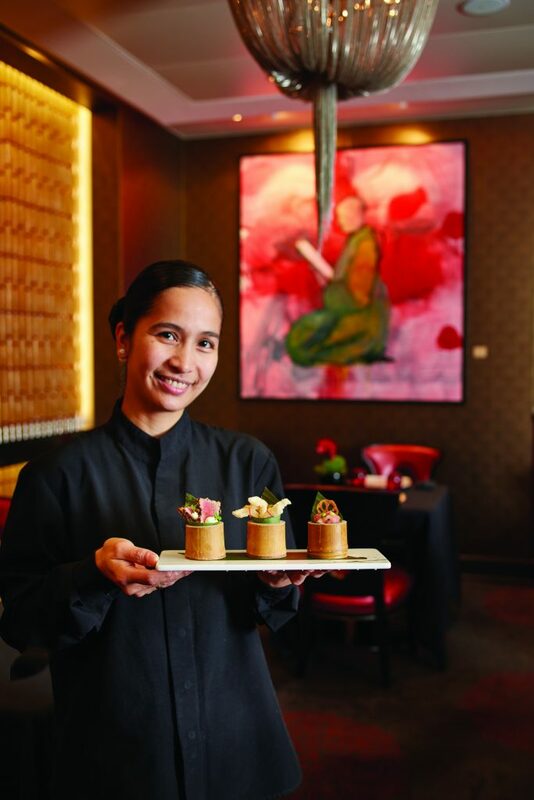 This is perfect for the aspiring travelling Chef because The Culinary Center offers a professional teaching environment with fully equipped individual cooking stations. I like this concept of learning a valuable skill while travelling. Hitting two important birds in one stone. Oceania Cruises has just announced its exclusive tour series, Wellness Tours Inspired by Canyon Ranch, and it is the first of its kind in the cruise industry. The award-winning Canyon Ranch, which is the official spa for Oceania Cruises, heads tours such as The Pope’s Thermal Baths in Civitavecchia in Italy, Vinyasa Yoga in Monte Carlo, The Greek Gods of Wellness tour in Corfu, Greece, and many others. Gone are the days when cruises are associated with never-ending indulgence in bad food and weight gain. Given the above combined reasons why I want to take an Oceania Cruise , not only will I be visiting a favourite destination, but also taking a cruise that’s so tailored to my personal interests, it’s almost like taking a private cruise. Hi Jean, what a gorgeous piece! I always wondered myself if I would go for a cruise or not, but in this area of the world it definitely worth it!